While Chelsea are one of the most successful clubs in the Premier League era and have developed a reputation for their shrewdness when it comes to the transfer market, they have made plenty of blunders when it comes to signing players and are likely still going to do so. Since the Premier League replaced the old First Division in 1992, they have made quite a few and below are 13 such acquisitions. Former Dutch defender Khalid Boulahrouz joined the Blues from Hamburger SV in 2006 and was strangely handed the No.9 jersey by Jose Mourinho. Despite starting brightly and featuring in some important fixtures following his debut against Blackburn, Boulahrouz fell out of favour quickly – and he certainly wasn’t helped by a knee injury that was swiftly followed up by a shoulder problem. John Terry and Ricardo Carvalho’s centre-back partnership was too difficult for the Dutchman to break when he became available again. But, even after an injury to the latter, Michael Essien was used in central defence instead. Boulahrouz was loaned to Sevilla the following season and was later sold to Stuttgart after making just 13 appearances for the Stamford Bridge side. 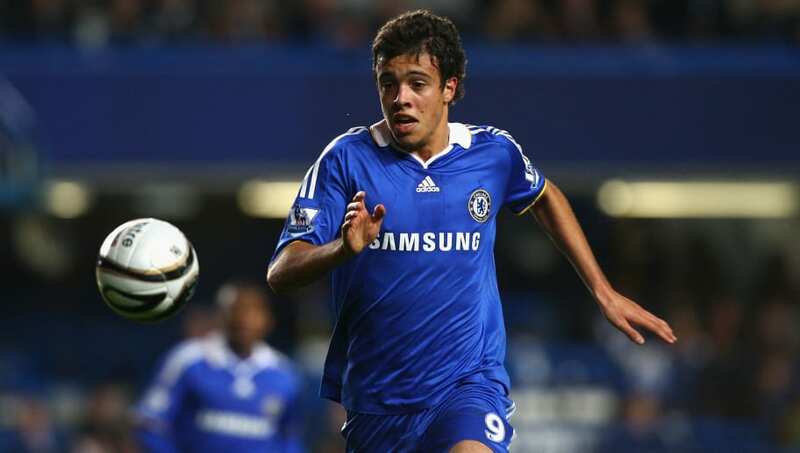 Franco Di Santo was expected to at least have a decent career as a Chelsea striker after signing for the Londoners in 2008. Dubbed “the new Maradona” after impressing at Chilean club Audax Italiano, the Argentinian forward starred for the Blues in pre-season and made his competitive debut as a late substitute in a 1-1 draw with Spurs. Di Santo ended up making just eight appearances for Chelsea, scoring zero goals, and was loaned to Blackburn the following year, after which he was sold to Wigan Athletic. Now 29, the South American plies his trade in Germany with Schalke 04, where he has scored 12 times in 85 appearances. 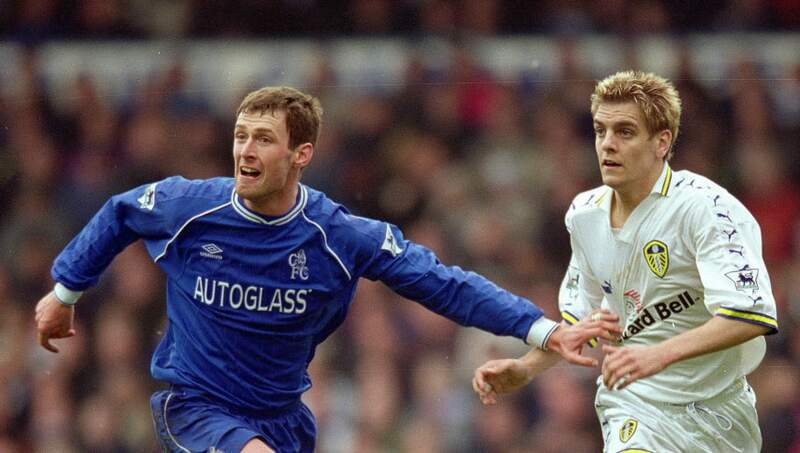 Ex-striker Chris Sutton was never really considered a world-class striker, but he was a reliable scorer in his day and was especially a threat with set pieces. 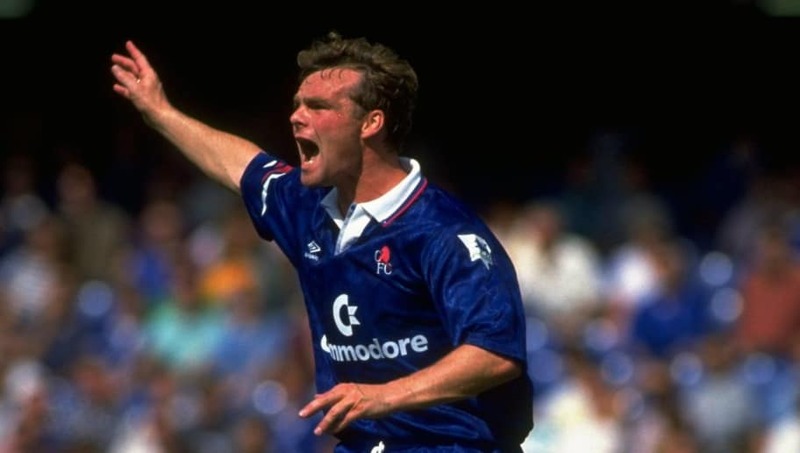 He moved to Chelsea from Blackburn for £10m in 1999 after the latter were relegated and, perhaps burdened by his price tag, struggled for form at Stamford Bridge and never managed to adapt to the club’s playing style. Sutton, who made a single appearance for England during his playing career, scored just two goals in his 41 appearances for Chelsea and was sold to Celtic for £6m a year after making his switch to London. The former Scottish forward was acquired by the Blues from Norwich City for a then-record fee of £2.1m in 1992 and incurred the wrath of Canaries fans after deciding to desert them on the back of a five-year stint during which he made over 140 appearances. Fleck had been voted Norwich’s Player of the Year that year, but would force a move after threatening to go on strike in the wake of the club turning down Chelsea’s bid for him. He was made to regret his actions after scoring four goals in over 40 appearances for the Blues in his three years with the London club. However, he is now regarded as one of the Canaries greatest ever players, having rejoined them after loan spells at Bolton and Bristol to make a further 104 appearances. 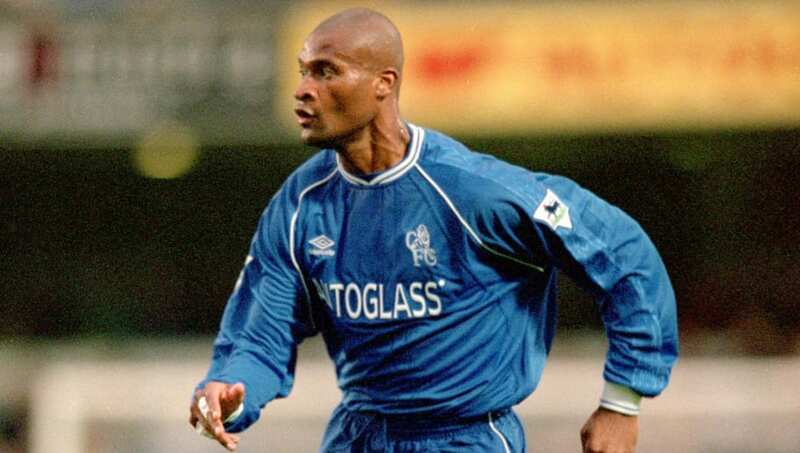 Winston Bogarde, who signed in 2001, was particularly frustrating for Chelsea given that he made quite the bank during his time there – while hardly playing. Signed unbeknownst to manager Gianluca Vialli, the former Ajax and Milan defender claimed to be shocked at the lucrative wages the Blues offered him and readily accepted their offer. Content to just earn his keep and seldom play for four years, Bogarde was demoted to the reserves in an attempt to force him out, but that did not affect him at all. 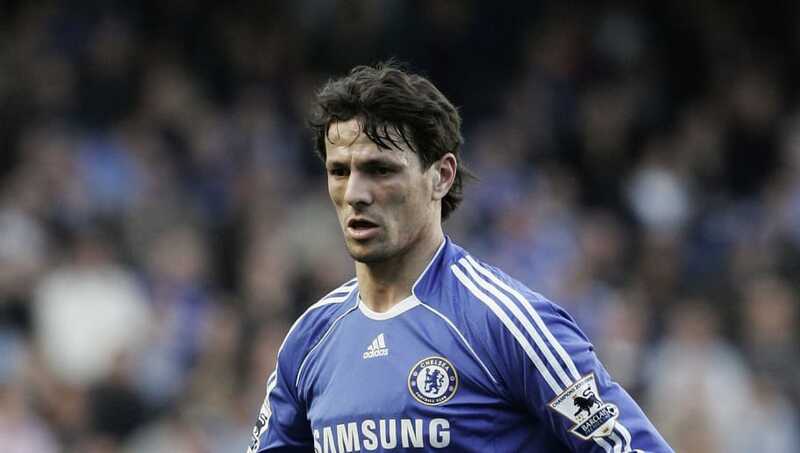 The player decided to retire from football in 2005 after making several millions for a meagre 11 appearances at Chelsea. 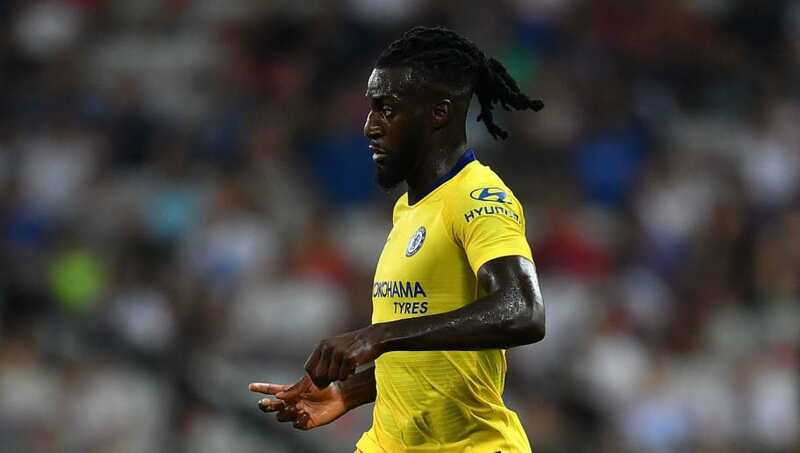 A very recent disappointment, Tiemoue Bakayoko is currently on loan from Chelsea at Milan after joining them as “Nemanja Matic’s replacement” last summer. The French midfielder could possibly turn his Blues career around and live up to the billing. But, for now, he will have to go down as a failed signing given the hype he came in with and how he appeared to be playing football for the first time almost every time he made an outing for the Blues. The Frenchman nearly cost Chelsea several players due to them getting hit with a two-window transfer ban after acquiring him as a teenager from Lens in 2007. 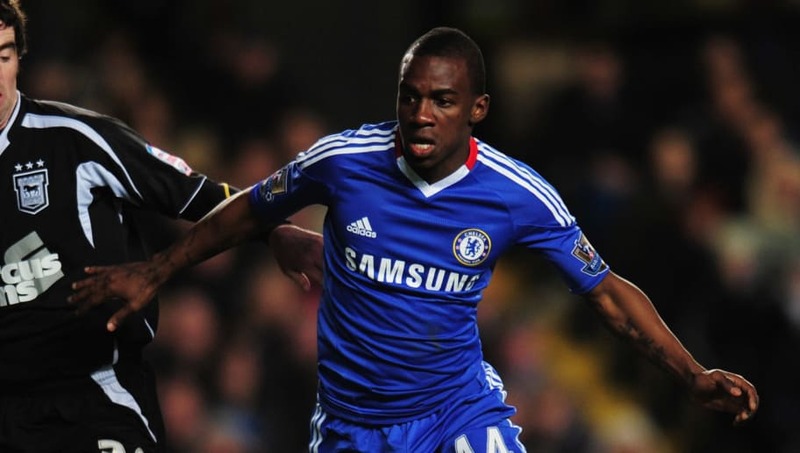 Quite the promising starlet, Gael Kakuta was named Chelsea’s Academy Player of the Year at the end of his first term with the side on the back of a fruitful personal campaign that saw him hit 12 goals in 24 outings. He made the step up to the first team thereafter but unfortunately suffered a bad ankle injury that left him sidelined for six months. 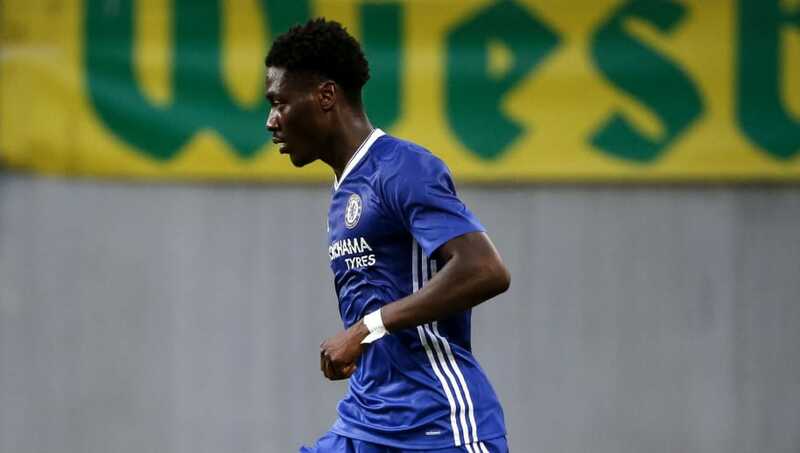 The player was given his opportunities in the senior setup but failed to live up to the hype and Chelsea loaned him out to six different clubs before finally selling him to Sevilla three years ago. Fortunately for the Blues, though, their ban was suspended and lifted after a vehement appeal. Andriy Shevchenko attained legendary status for his prolific goalscoring during his playing days. But the form which saw him deliver 175 goals in just over 300 appearances at AC Milan deserted him after he joined Chelsea for a then-record fee of £30m. The striker was personally pursued by Roman Abramovich and the Russian would land his man in the summer of 2005. However, the move would backfire as the Ukrainian scored just 22 times in his 77 outings for the Blues before being loaned back to Milan. 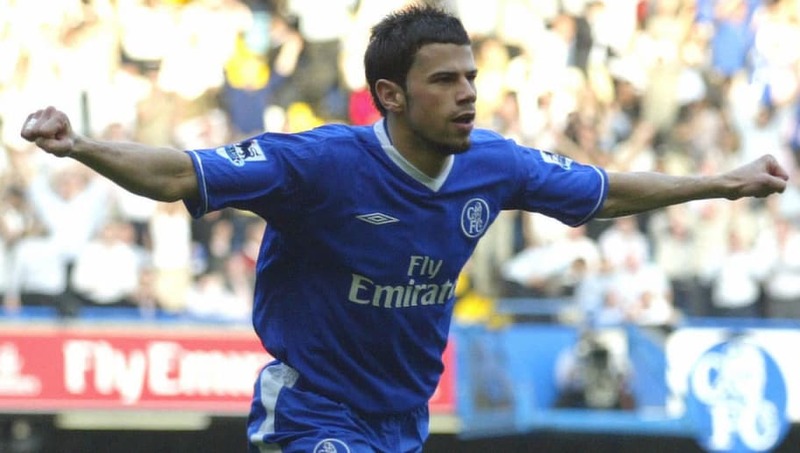 Mateja Kezman scored an incredible 121 goals in 168 appearances for Dutch side PSV Eindhoven between 2000 and 2004; so it made sense when Chelsea went for him in the summer of 2004. The Serbian has said that his spell at Chelsea coincided with the best time of his career, but one wonders why he would say something like that after scoring seven times in 41 appearances – a stark contrast to his PSV contributions. He probably just really enjoyed London. The player moved to Atletico Madrid the following season, where he would score two more goals than he did at Chelsea in 11 less appearances. He would later claim that he regretted leaving the Blues after just one term. 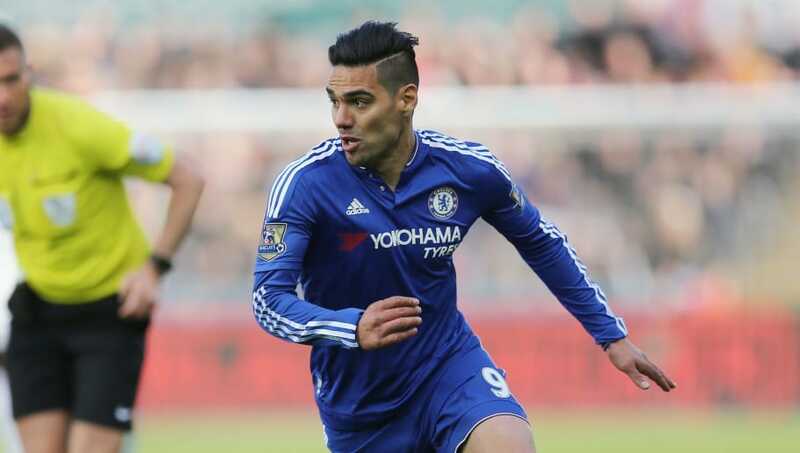 Chelsea should have known to steer clear of Radamel Falcao after his failings at Manchester United during the 2014/15 season, yet they opted to take him on loan after winning the Premier League title. The Colombian particularly impressed in a pre-season match against Barcelona but that was about it for him, although he scored an equaliser in a match against Crystal Palace, which the Blues would go on to lose 2-1. Falcao only managed 12 appearances for Chelsea, scoring only once before returning to parent club AS Monaco, where he has since won a league title. To this day, no one knows how a Chelsea scout managed to come across Papy Djilobodji. Jose Mourinho had no idea who the player was even after he was signed in 2016, which resulted in him only being afforded one appearance – which lasted about a minute – during his short Blues career. The Senegalese was recently released by English third-tier side Sunderland after breaching his contract and failing a fitness test. We’re not sure what he’s doing now. 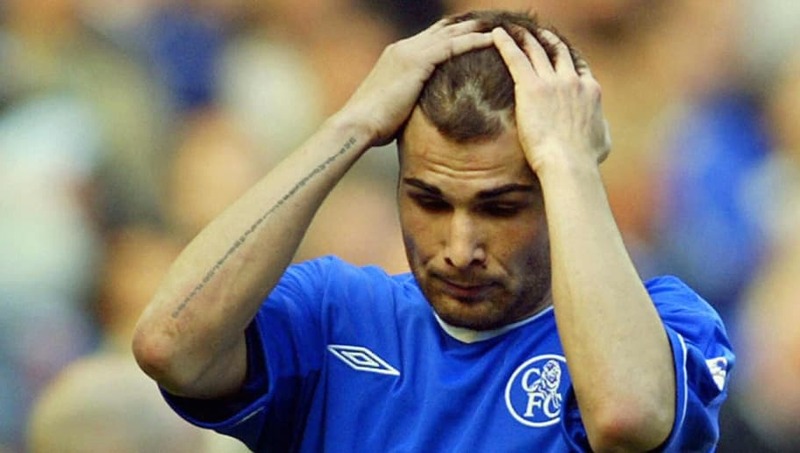 Adrian Mutu joined Chelsea with much promise. But his insistence on taking cocaine saw him released by the club after being hit with a seven-month ban. The forward cost the Blues €22.5m when he made the move from Parma in 2003 and is likely still owing them for breach of contract given his failure to repay their faith and leaving them at a huge loss, having tested positive for cocaine use in 2004. Undoubtedly a talented striker at the time, Mutu could have turned out to be a legend at Chelsea had it not been for his drug use. And he’s quite fortunate to have played for seven clubs following his Blues embarrassment. Fernando Torres will be remembered as one of the greatest forwards to ever grace the Premier League, but it won’t be because of his time at Chelsea. The Spanish striker – now playing in Japan with Sagan Tosu – left Liverpool to join the Londoners in January of 2011, for a British transfer record fee of £50m but it took him until April to score his first goal for the club. Torres made 172 total appearances for the Blues, scoring what can be considered a less than decent number of 45 goals. And, while he’s still fondly remembered by most Chelsea fans, a whole lot more was expected from Spain’s former golden boy while he wore their colours.